Pete Hegseth is a FOX News Channel contributor from America. Check out this biography to know about his childhood, family life, achievements and fun facts about him. 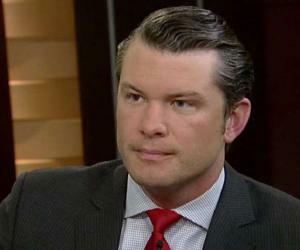 Peter Brian “Pete” Hegseth is a Fox News Channel contributor from America. 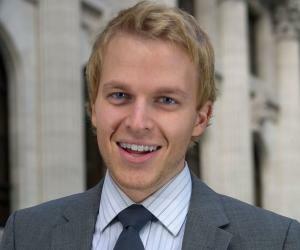 He is the co-host of the ‘Fox & Friends Weekend’ as well as a frequent guest co-host of the program’s weekday edition. He is also a senior political analyst at Fox News, offering analysis across all the Fox News and Fox Business programs. Hegseth, who has authored the famous book ‘In the Arena’, is a former military officer who has served in Afghanistan and Iraq wars. Holding a Combat Infantryman’s Badge and two Bronze Stars for his time in Afghanistan and Iraq, Hegseth has also served as a guard at the Guantanamo Bay. The American multitalented personality is a former executive director at Vets for Freedom, a political advocacy group. He is the former CEO of the group Concerned Veterans for America as well. Coming to Hegseth’s personal lifestyle, he is known to be a down-to-earth person. A devoted family man, he is married with four young kids. He is active on Twitter and Linkedin. In 2003, Pete Hegseth was commissioned into the U.S. Army National Guard as an infantry officer. The following year, he served as a guard at the Guantánamo Bay. Shortly after returning from Cuba, he served as infantry platoon leader and civil–military operations officer in Baghdad and Samarra respectively. In 2012, he lost the Republican Party endorsement for Senate election in Minnesota to Kurt Bills. In 2017, he interviewed President Donald Trump and received criticism for allowing the latter to make fake statements without challenging him. On June 14, 2015, during live broadcast on Fox & Friends, Hegseth threw a double-bit lumberjack axe which struck and injured drummer SFC Jeff Prosperie of the West Point Band. After this incident, the channel and the band assured the public that there will be no axe throwing while service members perform behind the target. 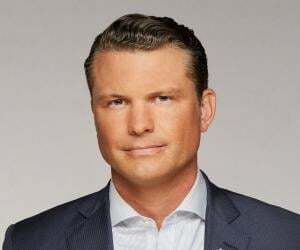 Pete Hegseth was born as Peter Brian Hegseth on June 6, 1980, in Minneapolis, Minnesota, USA, to Penelope and Brian Hegseth. 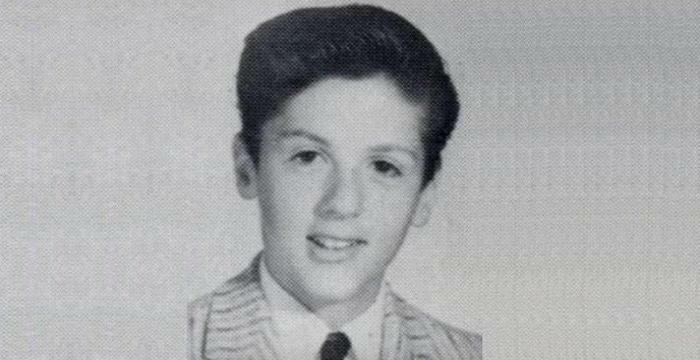 He studied at Forest Lake Area High School and later on earned his Bachelor of Arts degree from Princeton University. After this, he received a Master in Public Policy from Harvard University. Coming to Hegseth’s love life, he was previously married to Meredith Schwarz. 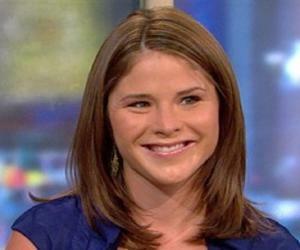 After separating from her, the American journalist went on to marry Samantha Hegseth. Currently, Hegseth has four children: Rex, Gwendolyn, Boone and Gunner.